Steve Martin at the finale. American Idol Season 8 Finale. 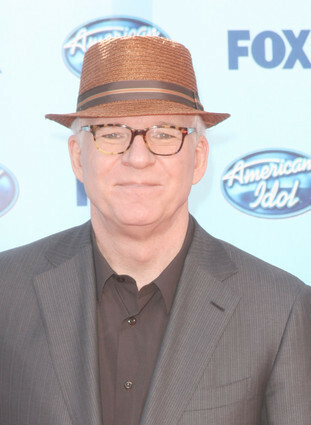 Wallpaper and background images in the American Idol club tagged: american idol season 8 finale steve martin. This American Idol photo contains filzhut, homburg, stetson, trilby, fedora, stetson trilby, geschäftsanzug, business-anzug, kampagne hut, and kampagnenhut.